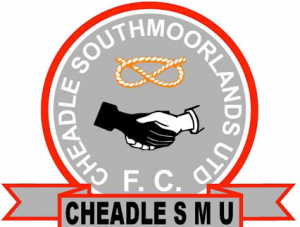 Cheadle SMU F.C. hold general football training throughout the year at Cheadle South Moorlands Leisure Centre. Sessions are led by our FA Level 3 qualified coach and supported by Level 1 FA qualified coaches and volunteers all of whom have undertaken the relevant checks and compliance certificates. All sessions are held on the 3G so players will need appropriate clothing, footwear, shinpads, and water.Cheadle SMU F.C. hold general football training throughout the year at Cheadle South Moorlands Leisure Centre. Sessions are led by our FA Level 3 qualified coach and supported by Level 1 FA qualified coaches and volunteers all of whom have undertaken the relevant checks and compliance certificates. All sessions are held on the 3G so players will need appropriate clothing, footwear, shinpads, and water. To book please contact the South Moorlands Leisure Centre on 01538 753 883.